T-Mobile may have just announced that it’s shutting down Sidekick service this May for folks who are still kicking along on their old SideKick devices from Danger…but that doesn’t mean the end of the SideKick brand. T-Mobile has just formally unveiled its new SideKick 4G, an Android-powered slider phone made by Samsung with a 3.5-inch touchscreen display and T-Mobile’s HSPA+ “4G” connectivity that can, in theory, deliver in excess of 20 Mbps. 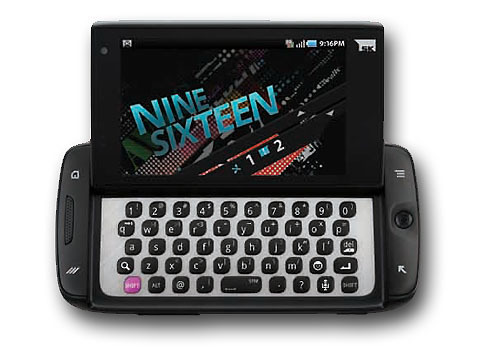 The Sidekick 4G follows a design similar to previous Sidekick devices, offering a five-row QWERTY keypad for users’ messaging needs, along with the signature “pop-tilt” hinge that pushes the screen to a convenient messaging orientation. Under the hood, the Sidekick 4G runs Android 2.2 and features a 1 GHz Cortex A8 Hummingbird processor. Although based on Android—which means users can tap into the large ecosystem of Android apps and services—the Sidekick 4G features Sidekick Group Text and Cloud Text to enable users to take part in reply-all group conversations—and Cloud Text even works with people who are on other phones and platforms. The phone is pre-loaded with Facebook and Twitter applications, and features a dedicated physical button for switching between applications, even when on the phone. The Sidekick 4G also features a front-facing VGA-resolution video camera with T-Mobile video chat software powered by Qik, enabling easy video chat capabilities. In a twist, T-Mobile is also bundling a new service called DriveSmart, designed to help people avoid distracted driving: when activated, DriveSmart handles incoming calls and messages, letting people know that the recipient is driving and will get back to them when it’s safe—an add-on service, DriveSmart Plus, will automatically activate the service when the phone detects its in a moving vehicle—of course, that might not be what people want if, say, they take mass transit. T-Mobile says the Sidekick 4G will be available “later this spring”—in marketing speak that means anytime through late June—in pearl magenta or matte black. The company has not released any pricing information.